Who needs a record without the bonus tracks? Wiley will prove that the economical crisis is not a time for sorrow, but for… dance, Cinematic Orchestra will gaze at the US flag, Grizzly Bear will sing in choir and Radiohead will slow down. 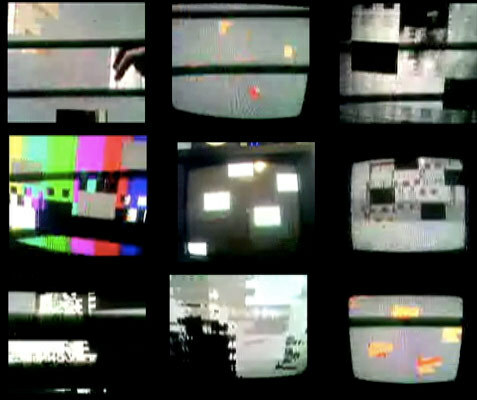 And that’s not all: abstract analog video, gambling teddy bears, animated sand and dancing furniture. And at the end of the show New Beaters will explain what does «to live good» means. Walden Gallery Berlin presents artport, a new non commercial art space that emphasizes video art by expanding it´s exhibitions with accompanying screenings. Expect a visual roller coaster. Ein schnell geschnittener Videorundumschlag junger Künstler, die den Betrachter auf eine Achterbahnfahrt der Seh-und Gefühlsnerven entführt. Artport, ein nichtkommerzieller Projektraum, Start-und Landebahn für moderne, geistreiche Kunst, vorgestellt von Walden Kunstausstellungen.